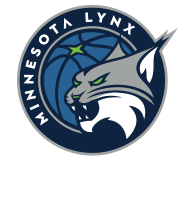 In today’s Flashback Friday, we look back at Lindsay Whalen’s basketball career in Minnesota prior to joining the Minnesota Lynx in 2010. 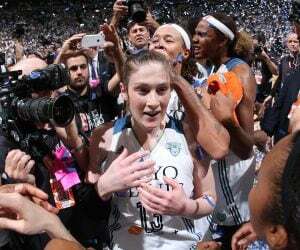 Whalen grew up in Hutchinson, Minn., where she played basketball at Hutchinson High School until she graduated in 2000. During her time in Hutchinson, Whalen led the Tigers to three straight Missota Conference championships and was a four-time honorable mention All-State selection. In her standout junior season, she averaged 22.8 points, 5.8 rebounds and 4.3 assists per game. Whalen went on to play college basketball for the home state University of Minnesota Golden Gophers from 2000 to 2004. During her time at Minnesota, Whalen averaged 20.2 points per game throughout her four-year career and recorded 2,285 career points, which ranks second all-time in Gophers women’s basketball history behind only Rachel Banham (3,093). Whalen ranks second in Gophers history in scoring average, games in double figures, free throws made and assists. She also ranks in the top five in field goals, field goal percentage, free throw percentage and consecutive games started. 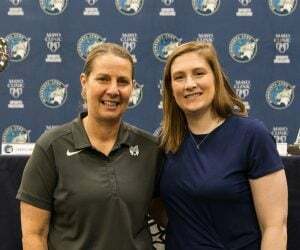 Whalen, who is a two-time Wade Trophy Finalist and a two-time Naismith Award Finalist, led Minnesota to three straight NCAA Tournament appearances, including its first-ever Final Four appearance in 2004. During that 2004 season, Whalen was the first woman to be named the Star Tribune Sportsperson of the Year. She was also named the St. Paul Pioneer Press’ Sportsperson of the Year in 2004. In 2005, Whalen had her No. 13 Gophers jersey retired by the university. 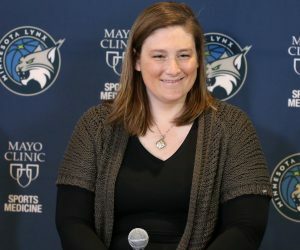 Whalen returned to Minnesota in 2010 when she was traded from the Connecticut Sun to the Lynx. 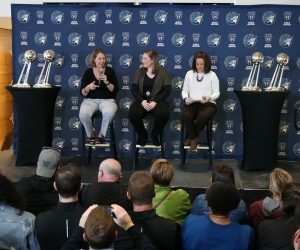 Whalen, a three-time WNBA Champion, concluded her seventh season with the Lynx in 2016. Next week, we will look at Lynx newcomer Plenette Pierson starting with a roster review on Monday.